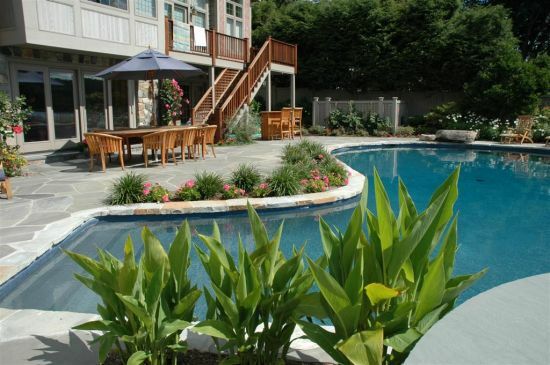 Pool patios tend to be best suited to match the style of the pool designed. 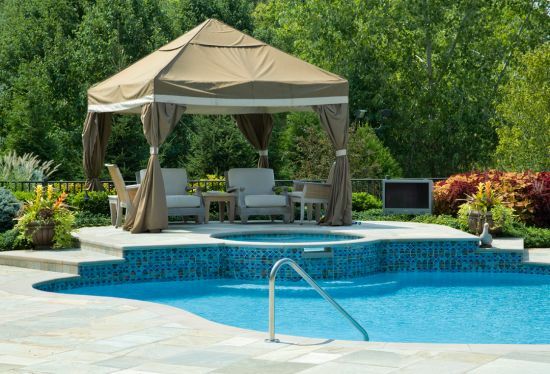 To help keep the feet cool during the hot Summer months, certain stone can be used around the pool area that will absorb most of the heat. 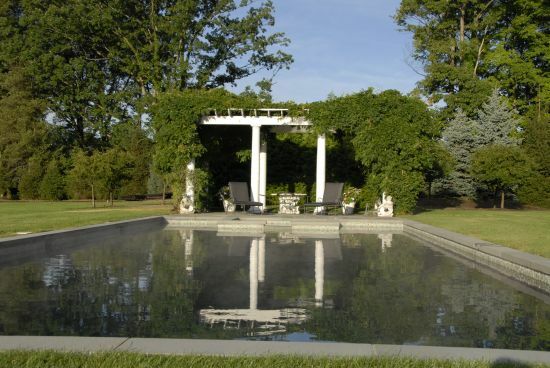 There are several different pool designs, such as a naturalistic pool or a freeform shape pool. 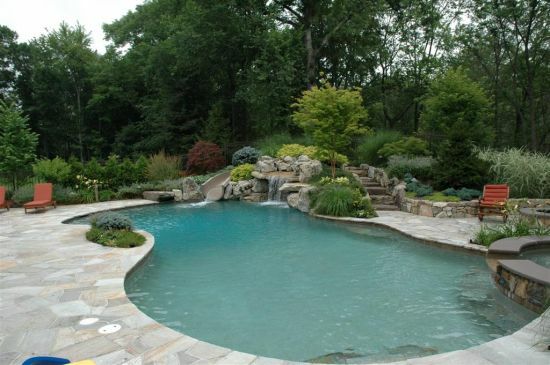 Some other pool layout considerations include where is the best spot to build the pool so it gets a good amount of sunlight. Another would be how the pool is going to be used. 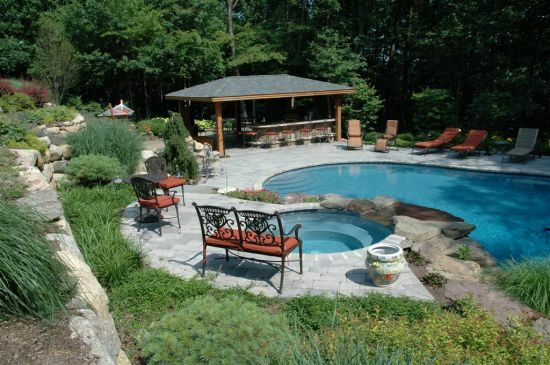 We here at Scenic Landscaping can help turn your backyard into an oasis to be enjoyed for many years.